Plain yellow mustard, most commonly used for adding an extra zing of flavor to your ballpark hot dog, also contains potent medicinal properties that is perfect for relieving your sore throat, relaxing your sore back muscles and decreasing the intensity of your headache. 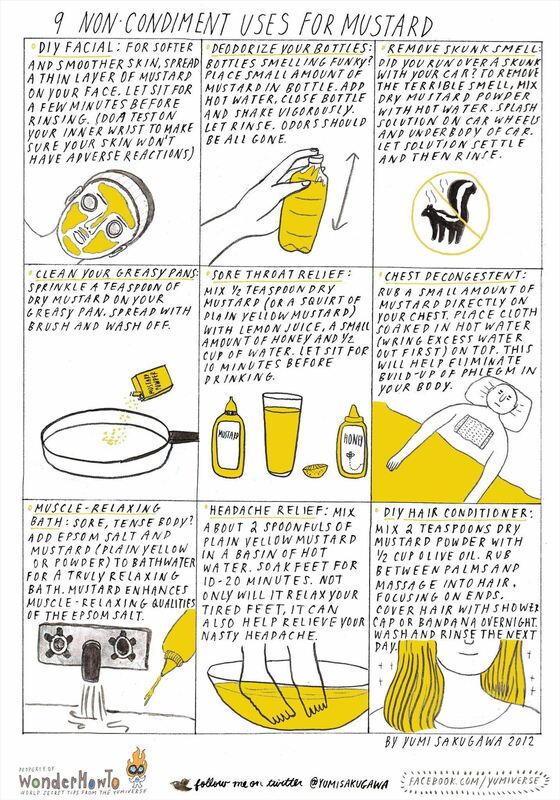 Mustard can also be used as a DIY facial, bottle deodorizer, pan degreaser and skunk smell remover. For many of these home remedies, you can also replace the plain yellow mustard condiment with dry mustard powder. Have you ever used mustard for non-edible uses? Share with us by commenting below!